The War Horse Muffles for Indian Scout models bring out all the performance your Scout has to offer. 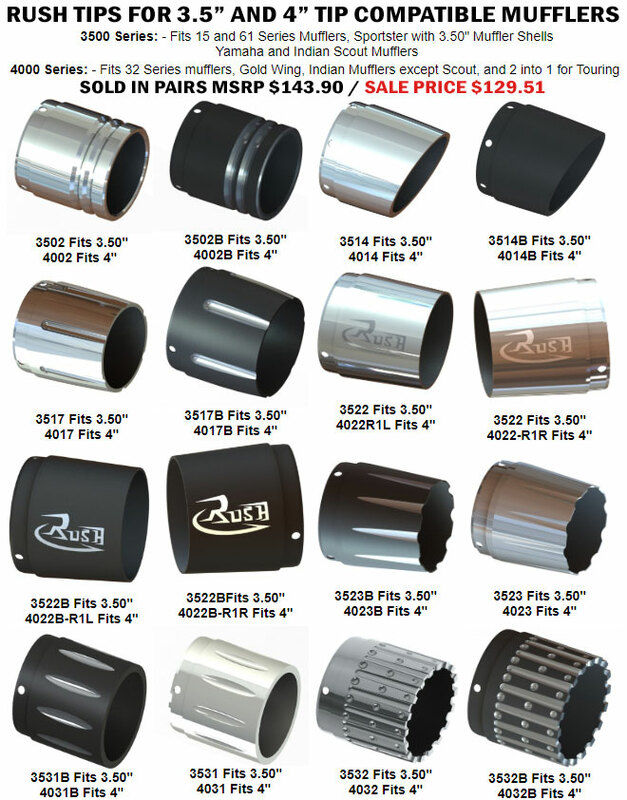 Rush Racing allows you to choose from 3 baffle choices, from mild to wild. The larger the baffle size, the louder the mufflers. Select your muffler body color and then choose from 14 tip styles to customize your look. Your Scout will definitely turn heads with it's custom look and aggressive sound with the War Horse Mufflers from Rush Racing bolted on.